University of Birmingham experts have worked with one of the world’s biggest railway rolling stock companies to develop the first-ever shipping container using materials that store and release cold energy. 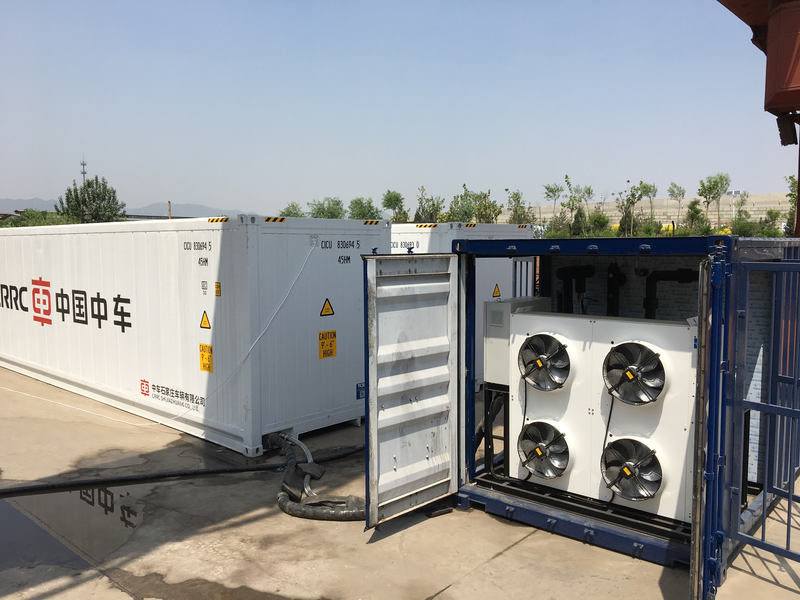 Using phase change material (PCM), Birmingham scientists and their counterparts at CRRC Shijiazhuang, in China, have developed a ‘refrigerated’ container that is easier and more efficient to operate than conventional equipment. Once ‘charged’, PCM inside the container — which can be transferred from train to truck and vice versa — can keep the inside temperature between 5-12˚C for up to 120 hours. The technology has recently completed commercial trials carrying real goods for 35,000 kilometres of road and 1,000 kilometres of rail transport across different climate zones. Professor Yulong Ding, Director of Birmingham Energy Storage Centre, who led the research at Birmingham, commented: “Energy storage is an area of world-leading expertise at the University of Birmingham and cold chain technologies research is one of the most important topics at our Centre for Energy Storage. “We have developed a productive collaboration with CRRC Shijiazhuang and this innovative technology marks the beginning of developing an efficient and economic rail & road freight cold chain. Several cold chain logistics companies in China have expressed strong interest in the container, which provides a more stable temperature, compared with the mechanical units, and hence a higher quality of goods at the destination. It does not need a power supply during its journey making transfer between road and rail easier. The container’s location and temperature can also be monitored in real time using mobile communication technologies.